I bumped into a Chamoix - sort of a deer. Note the perfectly heart-shaped bum. Happy Valentine's day. This is another beautiful circuit. 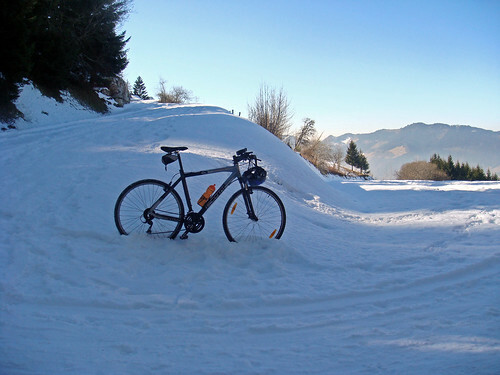 Just South of Thonon-les-Bains – the route starts on a tiny side road near the beginning of the Route des Grandes Alpes (that goes all the way to the Mediterranean). 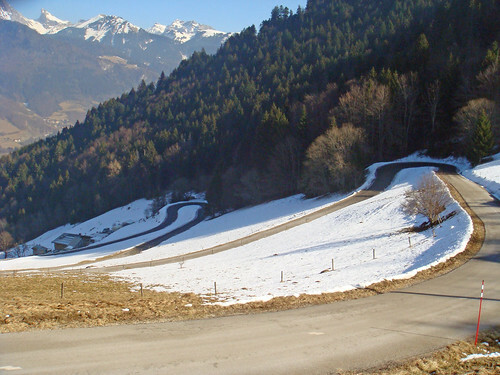 It’s a wonderful climb up the side of a steep mountain on a very quiet road to the Col du Grand Taillet. 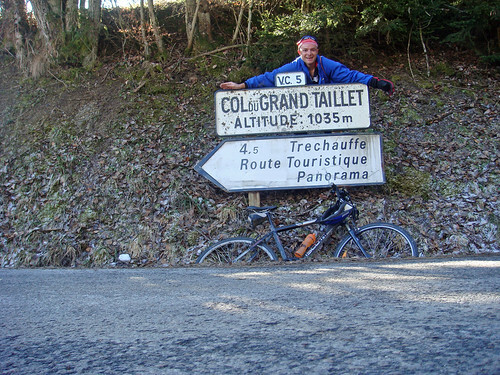 Don’t celebrate too quickly, because at the Col there is a little side road up to the lookout at Tréchauffe. 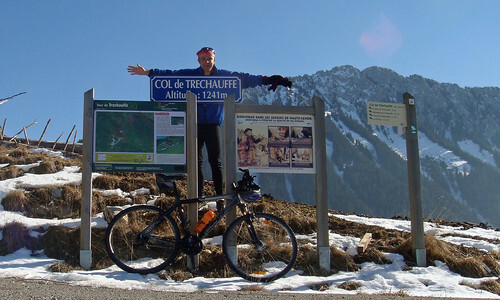 The book forgets to mention that a quick descent on a tiny road brings you to the savage Col de Tréchauffe. 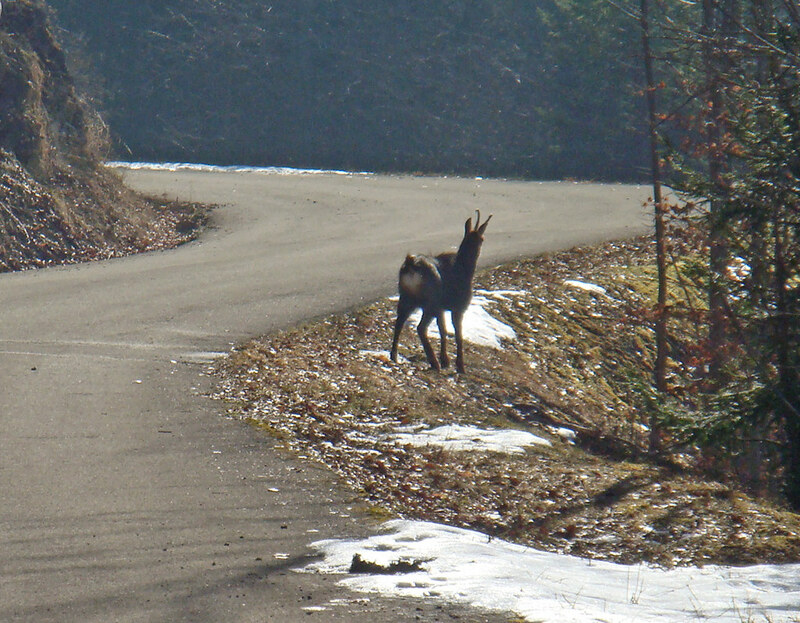 On the way up to Tréchauffe I bumped into a Chamoix – sort of a deer. We eyed each other for a while and then went our separate ways. Note, the last 2 kilometres to Tréchauffe was under snow – luckily I had my hybrid. 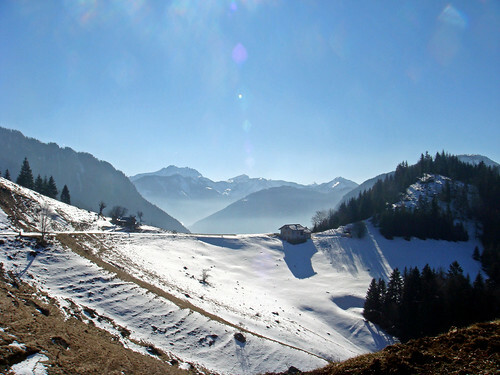 The route then descends into the Abondance valley. 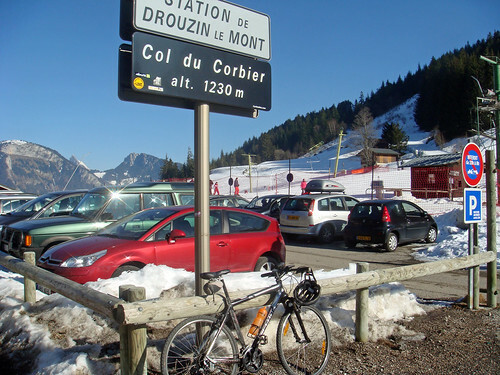 After a little flat bit, it then climbs the Col de Corbier – there is a little ski station at the top. Then back down the other side. What a creative picture… did you fall off your bike laughing? Or did you not notice the heart until you got home? hehe no, I took a bunch of photos and kept sneaking closer – with a zoom. Only at home did I notice the wonderful heart shaped bum!